As I was putting gas in my car this morning, I checked Instagram while I was waiting. 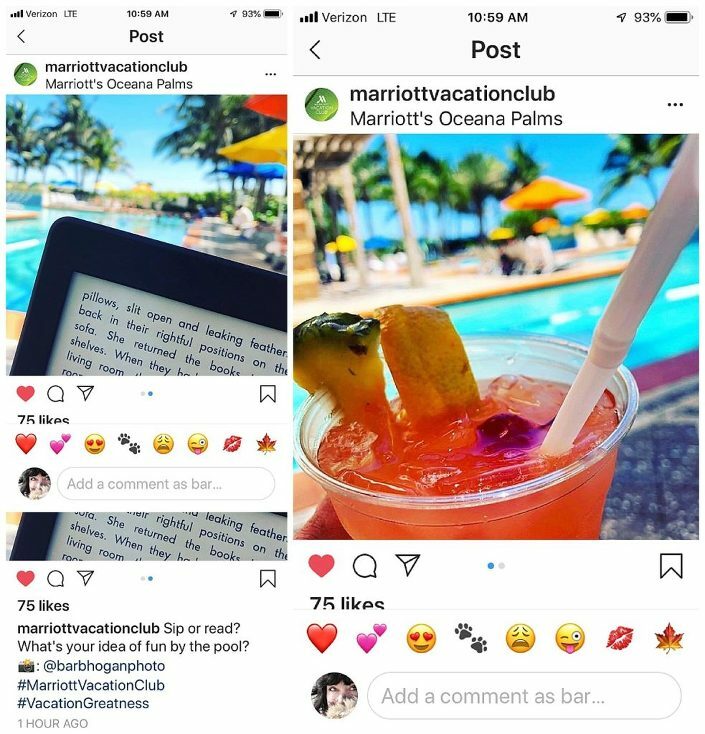 I got a notification that Marriott Vacation Club has featured my pics on their IG this morning. Those pool pics look mighty inviting this morning. It’s SOOOO COLD! Stay warm, Friends!